Get the latest CCI product and company details. 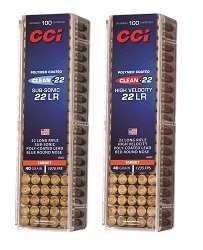 LEWISTON, Idaho - February 15, 2019 - CCI Ammunition is proud to announce new Clean-22— ultra-clean rounds that represent the future of rimfire shooting. Shipments of Clean-22 are being delivered to dealers. 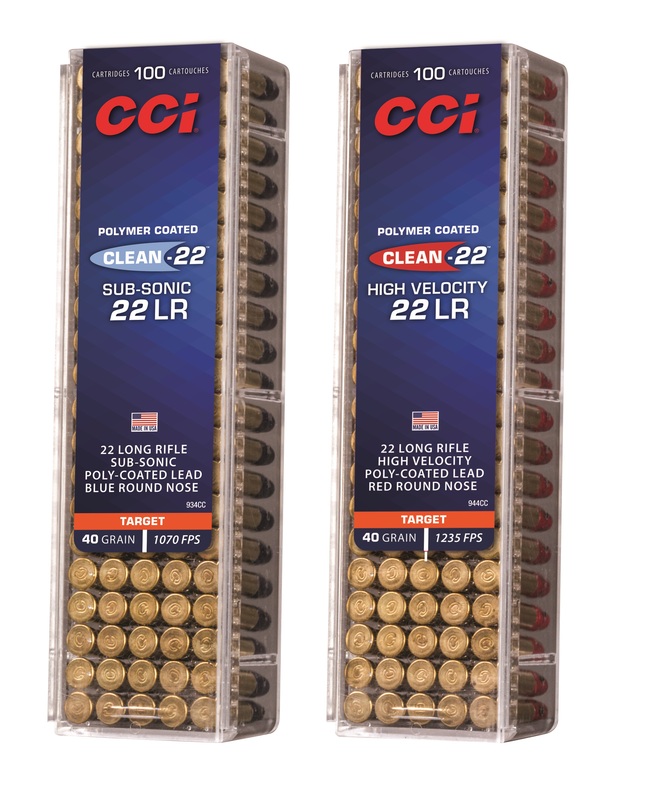 Clean-22 uses an exclusive polymer bullet coating to greatly reduce copper and lead fouling in the barrel without leaving a residue. It also cuts lead buildup in suppressors 60 to 80 percent. Both the Sub-Sonic and High Velocity loads feature a 40-grain round nose lead bullet with geometry that’s been optimized for accuracy. With dependable CCI priming and consistent propellant, Clean-22 provides flawless cycling through semi-automatics and all 22 LR firearms.